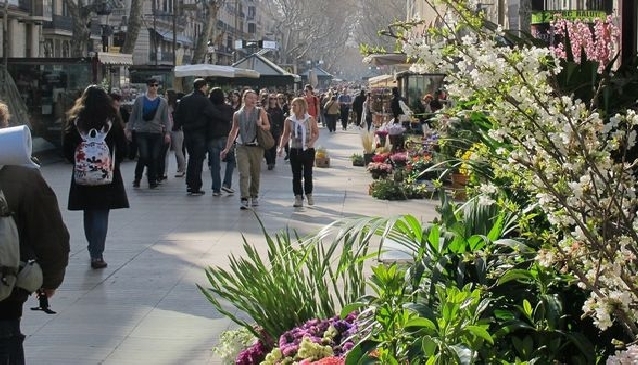 The sheer diversity of people found in Les Rambles, Barcelona’s most famous street, creates an effervescent vibrancy that cannot be matched anywhere else in the city, or even Spain. 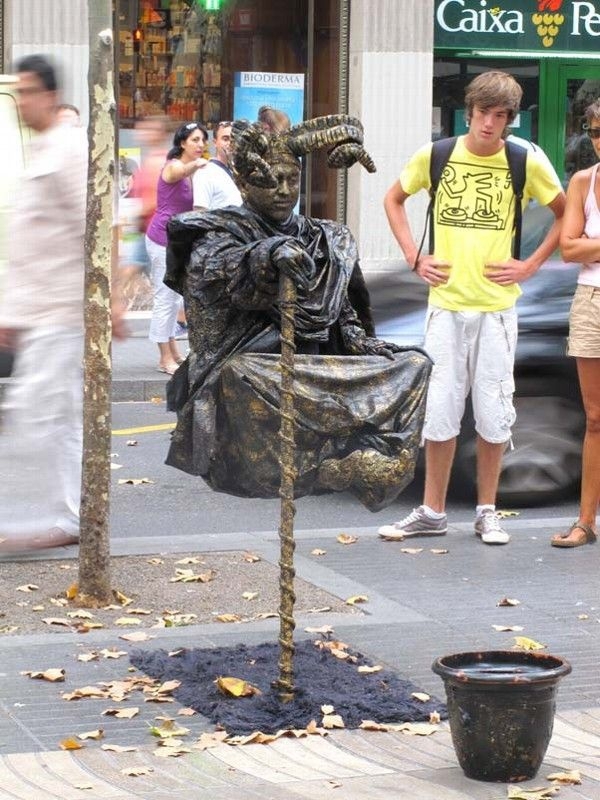 Locals, shoppers, tourists, comedians, magicians and jugglers all gather on the central walkway to create a vivacious atmosphere which is an essential element of any Barcelona, Make no mistake, this is one of Barcelona's top attractions. 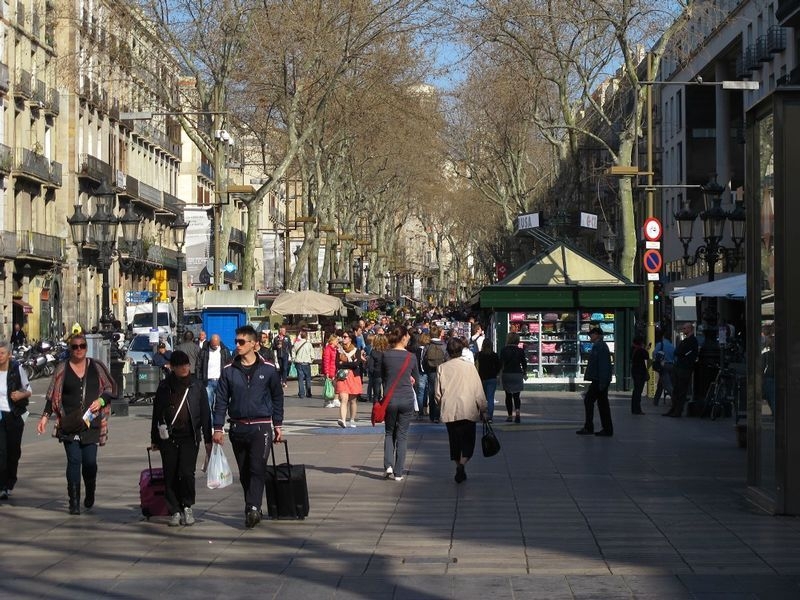 Although the people in Les Rambles are the nucleus of this electric atmosphere, the surroundings provide a rich, historical environment which undoubtedly contributes to the ambience. Near the middle of Les Rambles you will find the elegant and world famous Gran Teatre del Liceu, the opera house which has played host to numerous masterpieces by famous composers, including Wagner, Verdi and Mozart. Following an unfortunate fire in 1994, the theatre was modernised, yet it still maintains its exquisite ancestry due to its variety of programmes historically associated with the haut monde. Traditionally an opera venue, the Liceu now also hosts a dance season, concerts and recitals. For those who enjoy art exhibitions, the Centre d’art Santa Monica is well worth a visit. Acting as a public museum of contemporary art, the Santa Monica combines different forms of expression, science and communication. Located within the Raval neighbourhood at the bottom end of Les Rambles, near Drassanes metro station, the Centre d’art Santa Monica hosts travelling exhibitions which showcase both local and international artists each year. The Centre is open 11am – 9pm, Tuesday to Saturday, and entry is free! No visit to Les Rambles is complete without a wander around Barcelona’s premiere food Market, La Boqueria. With a history dating back to the 1200s, La Boqueria market has a mouth-watering selection of food and fresh ingredients. Cuisines from all over the world are celebrated by stalls selling seafood, meats, pastries, herbs, wines, fruits, vegetables, game foods, breads, pastas and spices, catering for every taste imaginable. The vendors are often from family-run businesses, combining authentic, traditional culinary practices with the tastes of the modern world. La Boqueria is open 6am – 9pm, Monday to Saturday. The fun in Les Rambles is not limited to the daytime, of course. The street comes to life at night, when the numerous restaurants, bars and clubs open their doors. Popular party venues include Sidecar, Jamboree Jazz Club and Karma in Plaça Reial square just off Les Rambles. Expect to pay around €10 for entry with one drink included. Be aware of crime at all times; there are some crafty pickpockets who target tourists operating here, so be sensible and keep your belongings close to you.